“TENDER MACHINES” by Emma Neale (Otago University Press, $NZ25); “OCEAN AND STONE” by Dinah Hawken (Victoria University Press, $NZ35); “CARDS ON THE TABLE” by Jeremy Roberts (Interactive Press, $NZ25); “TAKING MY MOTHER TO THE OPERA” by Diane Brown (Otago University Press, $NZ29:95). This week, I am looking at four completely different volumes of poetry. They were written by four completely different poets with completely different preoccupations and styles. Therefore, I am pledged not to make strained comparisons between them. All they have in common is that they write poetry. Emma Neale’s Tender Machines takes its title from its two epigraphs – William Carlos Williams’ statement that a poem is “a machine made of words”, and Don Paterson’s definition of a poem as “a little machine for remembering itself”. Much more than mice, however, it is the child who preoccupies the poet-mother. The first section of Tender Machines dwells most on that tension between strong love and frustration, when the young child also throws tantrums, is too demanding, has an active imagination that won’t be reasoned with – in other words, is an ordinary young child. The child’s imagination dominates the prose poem “Hunter” (are those waves the growl of a bear coming to get me?) and “Zac and the Beanstalk” (child’s play with implicit magic). The child’s inquisitiveness fills the poem “The Piano’s Appointment”, where the examination of an old piano turns into the child’s questions on how life was in his forbears’ times. The mother is aware that she is bringing up a young male (“Man Up”). But, most poignantly, there is that clash between the mother’s love and the child’s aggression. “Towards a Theory of Aggression in Early Childhood Development” suggests that “Perhaps for the toddler / other people don’t quite exist yet” and asks “This hurled block, this swift kick, this fist swipe, / do they colour us, too, hot and red and beaded with water, / is love the tough, tensile wire desire insists / along all the blood’s jumbled frequencies?” The poem “The Lost Letters” is one that could lead readers to either laughter or tears (like a child’s paddies), with Neale imagining what mothers really want to write to tantrum-throwing children, because “Even love wears thin”. The section ends with the title poem “Tender Machines” where the child himself become as machine as he undergoes and operation and sinks into unconsciousness under an anaesthetist’s needle. When we awake in the volume’s second section, “Auto Correct” we are in different poetic territory. “Auto Correct” – the punning title suggests the poet is following a course of self-correction, which gradually becomes reason tempering passion. If the poems of the first section deal most with presence – the presence of the child or of the life that is being nurtured – the poems at the beginning of the second section cluster around absence. The poet alone. The poet reflecting on self and on love that has gone, usually in sylvan or “natural” settings. In this, the sense of loss has to be set against responsibility, one’s dignity and the realization that what is lost is usually irrecoverable. A later poem, “Over” dives into seeing a lost love, and sexual experience, from a male’s point of view. But this mood is not where the volume’s second section ends. A clutch of poems look (lightly, ironically, playfully, affectionately, with fellow feeling) at the life in the streets – the life beyond the closed self. Thus “Slice of Life”. Thus Queen’s Drive, Town Belt”. Thus the oddly blokey “John Smith, Brother of Tim”. In “Suburban Story”, there is a deeply ironical account of a misunderstanding over what a woman was saying, leading to a consideration of the whole phenomenon of loss, including losing a sense of purpose. But within this is the phrase “sense of purpose / carries something of the feeling of being part / of the great ongoing human symphony”. And this really defines when this collection of poems is going. Out of the confined self and into wider human interaction. Regrettably, in the age in which we live, some of that interaction is via intrusive technology. So to a clutch of poems about life on-line – “Feeling Only Sort of Sorry for the Robots”, “Cyber Bullying”, “The New Narcissicism” and naturally “Auto Correct” itself. 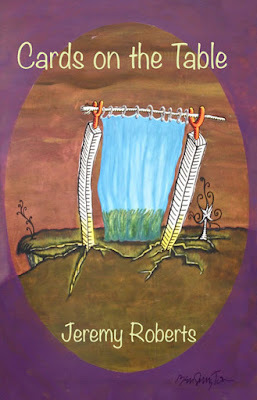 “Polemic”, lifts up its hands to everything a poem should, could, hopes to and never will be. The title tells you that some irony lurks here, too. 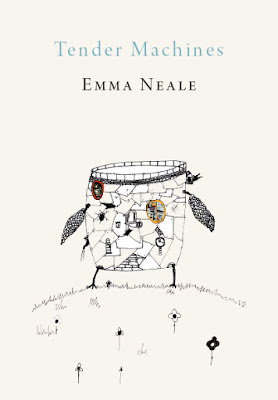 You will note that I have said virtually nothing about Emma Neale’s skill with technique, virtuosity in style, creation of prose poems and other matters upon which I should have commented. That’s because I was too busy enjoying the poems, nodding along at what they were saying, occasionally (but only occasionally) feeling rebuked as a male, and being gob-smacked by their imagery. A very, very powerful collection. If Emma Neale thrives on generous ferocity and close observation, Dinah Hawken is more the calm, rationalist philosopher. 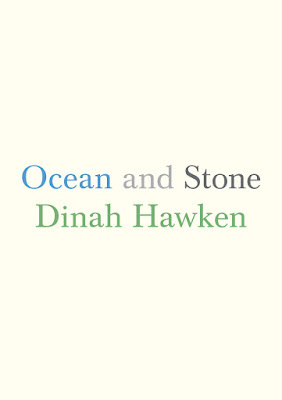 In Ocean and Stone her poems are cool, lean, pared-back, sometimes almost gnomic. The very first poem sets the mood for much that follows. “The lake, the bloke and the bike” is a first-person confessional in which a woman attempts to reflect on the big things in life – including permanence and impermanence – as she gazes at Lake Rotoiti from the shore. This might sound a peculiarly Wordsworthian set-up…. except that the lake is racked with the sound of a bloke on his noisy hydroplane. Natural perfection is transient. The world changes. Technology intrudes. Reflection has to end up engaging with a flawed world. And thus it is in many of Dinah Hawken’s poems. From babyhood to boy- and girl-hood to adolescence to old age, the poems so far point in the direction of a linear sense of life and time. Counterpointing this, however, is the mythic sense of an “eternal return”, of time as circular and endlessly repeating the same pattern. And this was, after all, how time was understood in much of the ancient world (including the Sumerian bit of it), where the gods played endlessly the same games. Hawken’s cycle of poems “The Uprising” deals with the vast ocean that surrounds New Zealand, rising menacingly. 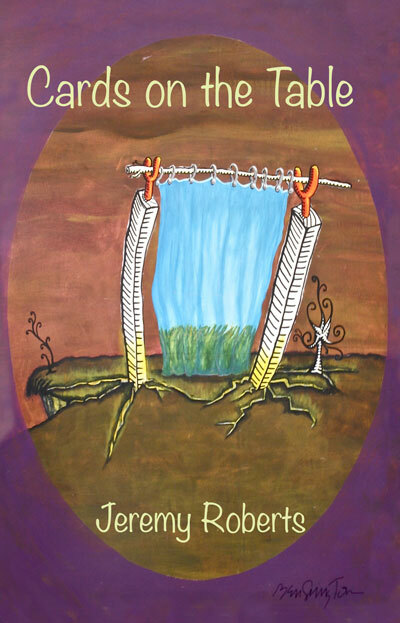 Beginning lyrically, the poems in this cycle then hit readers with a daunting contrast. First “With no motive and no name, the whole / indivisible ocean fits over the earth like a blessing: / it slips around, between and over / the territories we have made….” But then “It’s hard to have a mind for its envelopment / and treachery. Its weight, sheen, depth. 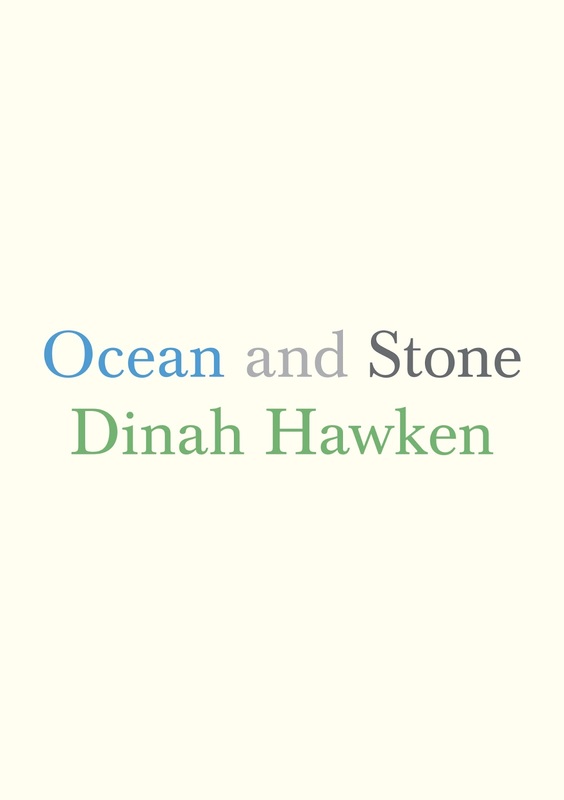 / And its frank, cold-blooded flow.” The sea is becoming a menace – and it is hard not to think that Dinah Hawken is referencing one of the threats posed by global warming. Later in the volume, the concept of a global inundation is echoed in a poetic version of the Sumerian legend of the universal flood (the non-Jewish precursor to the story of Noah’s flood). The sense of “eternal return” appears. The sequence “page.stone.leaf” is often minimalist in style (complementing the drawings by John Edgar that go with it), spare and unadorned by adjectives, some poems being presented as lists. They put together brief observations on stones and leaves as items connecting us with nature but used by us in papermaking over the centuries – a repeated, cyclical process. And finally, rounding off this theme, there is the long poem “Tidal” (originally written as a response to artworks by Colin McCahon), where all the songs sung by the sea turn out to be one breathing since the world began. I have dealt with this volume in terms of cold rationality. That was how I read it. For all the warmth of the grandmotherly poems, that was the way I was invited to read it. I cannot pretend to be coldly intellectual about Jeremy Roberts’ collection Cards on the Table, because I have to make a confession – some years younger than me, Roberts is a personal friend. 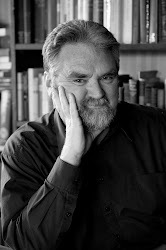 I’ve long admired the way he organises pub poetry readings in Auckland’s Ponsonby, and helps to promote even poets who do not see things the way he does. Roberts is an adept performance poet. He is happiest with poems that can be declaimed publicly. After reading this collection in page-proof, the poet Siobhan Harvey and I each (separately) agreed to contribute blurbs to appear on the back cover of this ample (145-page) collection. 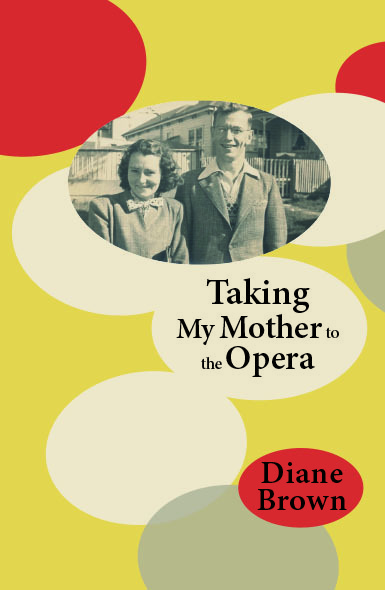 Diane Brown’s Taking My Mother to the Opera is autobiography conceived as poetry. Across 110 pages of blank verse, organised throughout in three-line stanzas, Diane Brown tells the story of her relationship with her parents. This narrative is divided into 18 sections, which I find it hard not to call chapters. 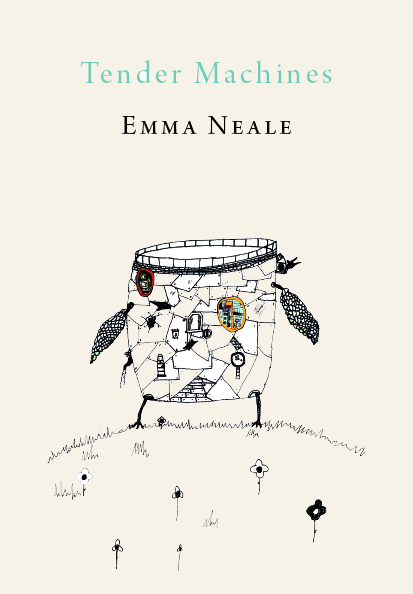 The first six chapters deal with the poet’s childhood, early upbringing and adolescence, up to the point where she first married, young and apparently against her parents’ wishes. The last twelve chapters leap a number of decades (one section is headed “Leaping into the Twenty-First Century”) and tell of her relationship with her parents when they are old and infirm and succumbing to dementia or debilitating physical ailments. Both parents lived into their 90s. The collection ends with memorial rites. By design, then, this is very selective autobiography, deleting material about the poet’s own adult life and relationships so that she can concentrate on her chosen theme of how her parents shaped her and how, bit by bit, she came to judge them differently and even, perhaps, to forgive them. Recently I had the great pleasure of reading Martin Edmond’s (prose) autobiography of his youth The Dreaming Land, and one of the things I found most attractive about it was the way Edmond’s sharp eye for specific detail conjured up the New Zealand that I remembered from being a small child in the 1950s and an adolescent in the 1960s. There are passages of Diane Brown’s Taking My Mother to the Opera that offer me the same pleasure, especially as Brown’s childhood was spent, as mine was, in Auckland. Some of the childhood experiences she reconstructs are universal ones, like the time when she was a little girl and her mother failed to keep a rendezvous, sending her into a panic of thinking “Maybe I dreamed her up, / will have to live alone now / in the darkening woods / like all bad children” (from the section “Then We Came Along”). What small child doesn’t experience this sort of separation anxiety at some time? There is also life in state-house suburbia out in the West of Auckland and a memory of being allowed to walk across the Auckland Harbour Bridge on the day it opened and such iconic (and period) versions of a father’s indulgence as the following: “He takes Clive and me up the road / for the 8 O’Clock paper and our Saturday / treat, a box of Black Knight liquorice” (from the section “Big Talk”). I hope I’ve made it clear that I enjoyed much of Taking My Mother to the Opera as recall to a past age, reconstruction of a domestic situation and personal confession. There is an aspect that sometimes niggled with me, however. Sometimes the blank verse gets all too blank. For example, in the following two extracts (out of many I could quote) I have removed the dividers that would tell you where the lines begin and end. We are clearly left with prose. What I am saying is that, expansive though it is, and much as it often hits apt imagery, much of this volume is very prose-y. Or Prosaic. It tells us things as straightforwardly, sans imagery or distinctive rhythm, as a prose confession would. 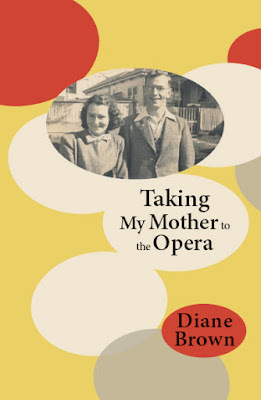 Otago University Press have awarded Taking My Mother to the Opera a very handsome piece of book production. It is a generous and study hardback with an inbuilt ribbon bookmark. Feels classy.